1) I am unsure who this is actually made by? 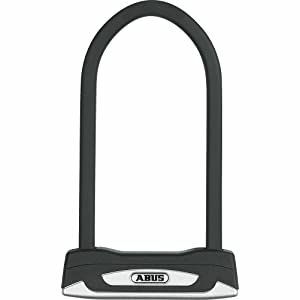 2) I already have a selection of Abus Granite locks for my bikes. So before I buy anything, else can anyone tell me the size of lock that can be accommodated in the bespoke space under the so I will know if anything I currently have will be suitable. If not I will have to buy another, and if that is the case who makes the official Triumph one. And I did do a bit of research and found out the maker, but as usual can't find the link I found. Artago Motorcycle U Locks, or D Locks as they are often referred to as, are light, secure and easy to use. The Artago Range of U-Locks is one of the most adaptable to fit under Motorcycle seats or by using one of the universal fitting Brackets. Artago Security have the solution; not only the security but also how to carry it. Artago U Locks are manufactured in Valencia, use the latest manufacturing and machining processes to ensure peace of mind and the greatest of inconvenience to thieves. Cheaper here but don't know if you'd get hit with Customs charges. So if I can't find anything today I will take a punt. You did well, I couldn't even find that photo....... Oh well of to the garage with the tape measure The Triumph one looks to be an Approved device as well, but not cheap at all. The non branded Artago is also sold as 'Gold Secure' and comes with the cert for your insurance company. Been to J&S with no success - they had the smaller version for £149.99!!!!! I'm also thinking now that if I get the u lock it's going to take up practically all the space underneath the seat so trying to fit my Starcom unit could be an issue. Got home and tried one of my Abus Granit 56HB locks, and it is a straight fit in the space under the seat. Does that mean the one that fits under the GS seat won't fit the Triumph or both of your locks fitted so no point in keeping the GS one? Damn, tried my U-lock yesterday. Doesn't fit the slots either, but at least there is room for it, spare lamps, Puncture kit and waterproof overtroosas.